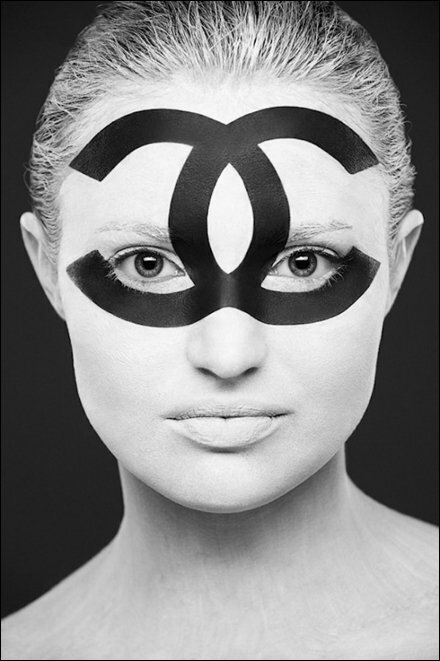 The face of Chanel – or at least that is what I thought when I saw this art from Moscow-based photographer Alexander Khokhov. For me it extends my threads on branding, premiere designers, etc. But you will get even more out of the series by visiting “Beautiful Black and White Face Paintings.” Just please then return to follow the links below. “Chanel Index Page” for all resources.